I know I'm not alone in being so glad Autumn has arrived at last! I'm so ready for the new season, and September has always felt like just as much a month for new beginnings as January to me. The transaction from Winter to Spring is always much more gradual than the arrival of Autumn, which seems to appear all at once in a magical haze one morning, gilding the garden with beads of dew and chilling the air. I'm excited to wear knitwear again, to get out my scarfs and snoods and finally wear that ear warmer D bought me several years ago and I always forget I own! I'm excited for those days where we hibernate indoors, and revel in it rather than feeling guilty that we're not out enjoying the sunshine. I've already washed all my winter pyjamas (and oversized onesie) and pulled them still warm out of the tumble drier, thrilled at the thought of cozying up after a freezing walk. I'm excited for pumpkin carving, fireworks, for crunching leaves, for watching films by candlelight and cinnamon on everything! For getting back in bed with a book and a cup of tea on a rainy morning, for gingerbread and mulled cider and maybe even toasting marshmallows! This is the season of cooking shows and of course Harry Potter, because I'm sure it's always Autumn at Hogwarts! I love the looming feeling of Christmas in the air, still far enough away not to induce panic, and the general feeling of preparing, the chutney making and fruit cake baking, and looking at baubles out of the corner of your eyes. We moved into our current house in the Spring, and we're already excitedly anticipating discovering how it feels in the colder months. Our living room has a wood burner which I can't wait to light, and the flue runs up through our bedroom which should make for some very cosy nights. We're slowly working on the renovations, making it ours and finding out how our things fit in their new space. It's been wonderful to really take our time and slowly make decisions. We're heading into a season which is often so focused on 'stuff', on feasting and indulgence and piles of new things. Don't get me wrong I adore giving presents, but this Autumn I'd like to focus a little more on experience than physical excess. So, on that note, here is my Autumn bucket list - some things we've got planned for the upcoming months before Winter sets in! Preserve the rhubarb from my Grandad's garden in a more interesting way than leaving it in a box in the freezer which is where it currently is! Make some candles! I love a candle but I'm increasingly conscious of burning nasty synthetic ones and I'd love to make my own. Celebrate Thanksgiving. I'm jealous every year of Thanksgiving and love the idea of a holiday which is all about being grateful. Of course we won't be celebrating from a religious standpoint, but I realised there's nothing to stop us having our own version - turkey and all! Update my scarf collection. I have a favourite mustard yellow one I want to add a little fun too, and a grey snood which is crying out for some pom poms! Make some 'healthy' caramel apples - I know they're never going to be amazingly healthy, but I've seen a few recipe ideas and want to have a play with coconut sugar and butter...watch this space. Make the sourdough starter we've been talking about for years! 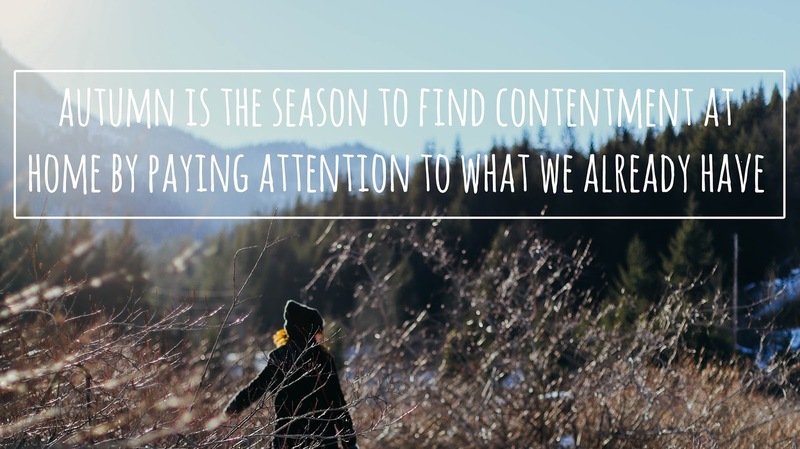 What do you have planned for the Autumn? Are you revelling in it too or already mourning the passing of Summer? i was definitely born in the wrong hemisphere... reading your list made me want to pack my bags and move to the north right now. I could easily live in a constant autumn, no matter what the doctors and chefs say haha... Oh, imagine how jealous i am right now! 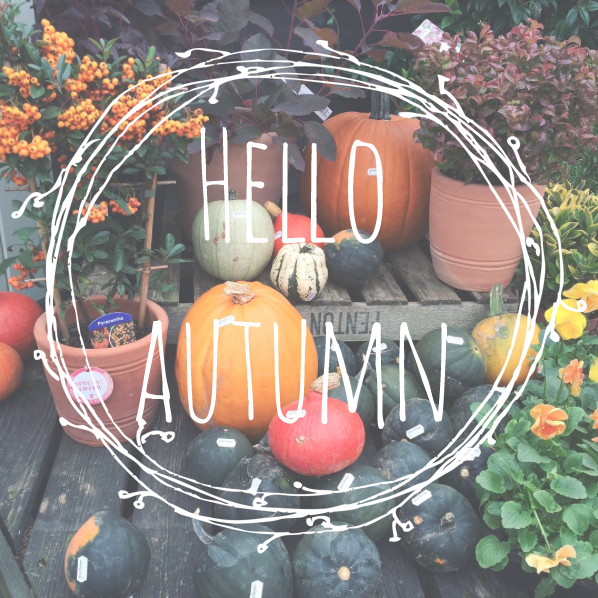 It's the best isn't it - I'm so glad you've been able to experience Autumn in the UK! Love the list! Autumn is always such a nice, cozy season. I'm looking forward to taking some fall trails (my friend and I love driving up to the country and looking at the beautiful leaves!) and buying some, comfy sweaters. Also - I need to buy some pumpkins for our front porch and can't wait till Thanksgiving next weekend!